I don’t know her name yet. The present owner’s vet has possession of all the paperwork for the thirty donkeys he owns and he doesn’t know them all by name. I await her name withthe earnestness with which Don Quixote thumbed through books of knight errantry looking at the importance of the favoured lady’s name. Romeo paid similar attention to seeking Juliet’s name at the masked ball. My lovely also wears a mask: the eye markings of the classic brown donkey. This is my first donkey, so she is very special. All the time I had been following my plan to buy a two or three year old female – small but of no particular breed – and then try to acquire one of the rare pure-bred giant Andaluz donkeys. (This is for contrast, in stable and when walking, and they will be companion animals celebrating their differences.) When I saw this yearling donkey, my plan went out of the stable window. 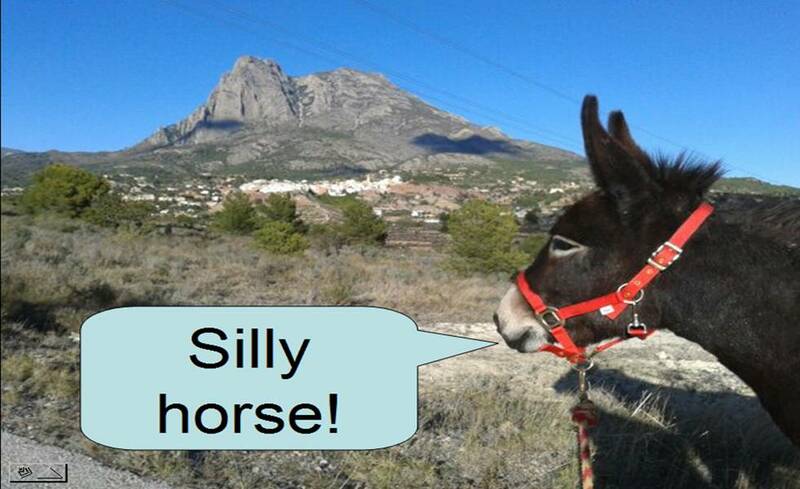 She had to be my donkey! It will be a very long time before she can be trained to carry anything, so I am aware of the consequences of not sticking to my plan. Also, being so young, she will probably outlive me by several years. There is something rather good about that idea: the care I shower upon her will continue to have its effect in the world for some time after I have breathed my last. She is really lovely: a curious creature who responds to attention immediately. My daughter, who came to stay for a few days, was pleased to be present when I saw my donkey for the first time. She held the halter and my donkey briefly objected and pulled her head away. Excellent: she is her own donkey person. She is not going to be led forward on the Camino without examining the problem first and entering into a vigorous debate. 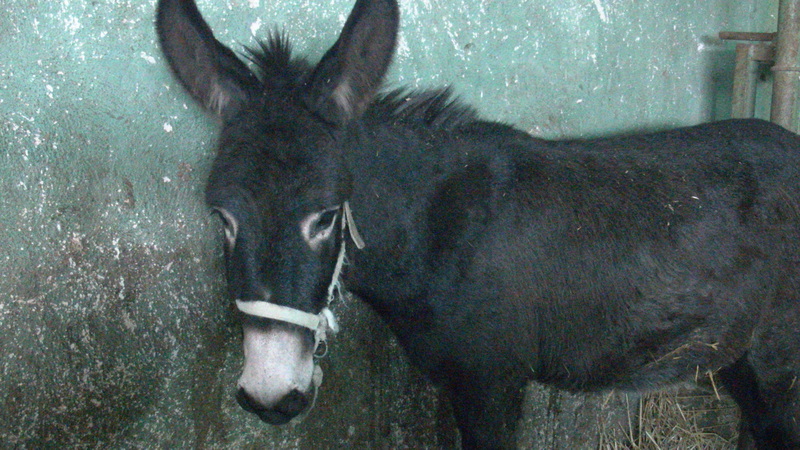 Postscript: It was a few weeks later when the owner’s passports were matched up to the microchips in the donkeys that I was given a name for this donkey: she was Rubí. It was only much later, seeing this video again, I noticed that the light grey donkey who can be seen trying to get our attention was actually Matilde, who I didn’t really notice at the time, and I bought her on a later visit to the stables when I took my friend Barbara along to advise on buying the second donkey.